Is It Legal to Evaluate a DDoS Mitigation Service? A couple of months ago, I was on a call with a company that was in the process of evaluating DDoS mitigation services to protect its data centers. This company runs mission critical applications and were looking for comprehensive coverage from various types of attacks, including volumetric, low and slow, encrypted floods, and application-layer attacks. During the discussion, our team asked a series of technical questions related to their ISP links, types of applications, physical connectivity, and more. And we provided an attack demo using our sandbox lab in Mahwah. Everything was moving along just fine until the customer asked us for a Proof of Concept (PoC), what most would consider a natural next step in the vendor evaluation process. How would you do a DDoS POC? You rack and stack the DDoS mitigation appliance (or enable the service if it is cloud based), set up some type of management IP address, configure the protection policies, and off you go! Well, when we spoke to this company, they said they would be happy to do all of that–at their disaster recovery data center located within a large carrier facility on the east coast. This sent my antenna up and I immediately asked a couple of questions that would turn out to be extremely important for all of us: Do you have attack tools to launch DDoS attacks? Do you take the responsibility to run the attacks? Well, the customer answered “yes” to both. Being a trained SE, I then asked why they needed to run the PoC in their lab and if there was a way we could demonstrate that our DDoS mitigation appliance can mitigate a wide range of attacks using our PoC script. As it turned out, the prospect was evaluating other vendors and, to compare apples to apples (thereby giving all vendors a fair chance), were already conducting a PoC in their data center with their appliance. We shipped the PoC unit quickly and the prospect, true to their word, got the unit racked and stacked, cabled up ready to go. We configured the device then gave them the green light to launch attacks. And then the prospect told us to launch the attacks; that they didn’t have any attack tools. Well, most of us in this industry do have DDoS testing tools, so what’s the big deal? As vendors who provide cybersecurity solutions, we shouldn’t have any problems launching attacks over the Internet to test out a DDoS mitigation service…right? Launching attacks over the Internet is ILLEGAL. You need written permission from the entity being attacked to launch a DDoS attack. You can try your luck if you want, but this is akin to running a red light. You may get away with it, but if you are caught the repercussions are damaging and expensive. Your ISP might block your IP address. Many ISPs have DDoS defenses within their infrastructure and if they see someone launching a malicious attack, they might block your access. Good luck sorting that one out with your ISP! Your attacks may not reach the desired testing destination. Well, even if your ISP doesn’t block you and the FBI doesn’t come knocking, there might be one or more DDoS mitigation devices between you and the customer data center where the destination IP being tested resides. These devices could very well mitigate the attack you launch preventing you from doing the testing. Those are three big reasons why doing DDoS testing in a production data center is, simply put, a bad idea. Especially if you don’t have a legal, easy way to generate attacks. So what are the alternatives? How should you do DDoS testing? With DDoS testing, the focus should be on evaluating the mitigation features – e.g. can the service detect attacks quickly, can it mitigate immediately, can it adapt to attacks that are morphing, can it report accurately on the attack it is seeing, and what is being mitigated, how accurate is the mitigation (what about false positives). If you run a DDoS PoC in a production environment, you will spend most of your resources and time on testing the connectivity and spinning the wheels on operational aspects (e.g. LAN cabling, console cabling, change control procedures, paperwork, etc.). This is not what you want to test; you want to test DDoS mitigation! It’s like trying to test how fast a sports car can go on a very busy street. You will end up testing the brakes, but you won’t get very far with any speed testing. Test things out in your lab. Even better, let the vendor test it in their lab for you. This will let both parties focus on the security features rather than get caught up with the headaches of logistics involved with shipping, change control, physical cabling, connectivity, routing etc. It is perfectly legal to use test tools like Kali Linux, Backtrack etc. within a lab environment. Launch attacks to your heart’s content, morph the attacks, see how the DDoS service responds. If you don’t have the time or expertise to launch attacks yourself, hire a DDoS testing service. Companies like activereach, Redwolf security or MazeBolt security do this for a living, and they can help you test the DDoS mitigation service with a wide array of customized attacks. This will cost you some money, but if you are serious about the deployment, you will be doing yourself a favor and saving future work. Finally, evaluate multiple vendors in parallel. You can never do this in a production data center. However, in a lab you can keep the attacks and the victim applications constant, while just swapping in the DDoS mitigation service. This will give you an apples-to-apples comparison of the actual capabilities of each vendor and will also shorten your evaluation cycle. Today, many organizations are now realizing that DDoS defense is critical to maintaining an exceptional customer experience. Why? Because nothing diminishes load times or impacts the end user’s experience more than a cyberattack. As a facilitator of access to content and networks, proxy servers have become a focal point for those seeking to cause grief to organizations via cyberattacks due to the fallout a successful assault can have. Increase in dynamic content attacks. Attackers have discovered that treatment of dynamic content requests is a major blind spot in CDNs. Since the dynamic content is not stored on CDN servers, all requests for dynamic content are sent to the origin’s servers. Attackers are taking advantage of this behavior to generate attack traffic that contains random parameters in HTTP GET requests. CDN servers immediately redirect this attack traffic to the origin—expecting the origin’s server to handle the requests. However, in many cases the origin’s servers do not have the capacity to handle all those attack requests and fail to provide online services to legitimate users. That creates a denial-of-service situation. Many CDNs can limit the number of dynamic requests to the server under attack. This means they cannot distinguish attackers from legitimate users and the rate limit will result in legitimate users being blocked. SSL-based DDoS attacks. SSL-based DDoS attacks leverage this cryptographic protocol to target the victim’s online services. These attacks are easy to launch and difficult to mitigate, making them a hacker favorite. To detect and mitigate SSL-based attacks, CDN servers must first decrypt the traffic using the customer’s SSL keys. If the customer is not willing to provide the SSL keys to its CDN provider, then the SSL attack traffic is redirected to the customer’s origin. That leaves the customer vulnerable to SSL attacks. Such attacks that hit the customer’s origin can easily take down the secured online service. During DDoS attacks, when web application firewall (WAF) technologies are involved, CDNs also have a significant scalability weakness in terms of how many SSL connections per second they can handle. Serious latency issues can arise. PCI and other security compliance issues are also a problem because they limit the data centers that can be used to service the customer. This can increase latency and cause audit issues. Keep in mind these problems are exacerbated with the massive migration from RSA algorithms to ECC and DH-based algorithms. Attacks on non-CDN services. CDN services are often offered only for HTTP/S and DNS applications. Other online services and applications in the customer’s data center, such as VoIP, mail, FTP and proprietary protocols, are not served by the CDN. Therefore, traffic to those applications is not routed through the CDN. Attackers are taking advantage of this blind spot and launching attacks on such applications. They are hitting the customer’s origin with large-scale attacks that threaten to saturate the Internet pipe of the customer. All the applications at the customer’s origin become unavailable to legitimate users once the internet pipe is saturated, including ones served by the CDN. Direct IP attacks. Even applications that are served by a CDN can be attacked once attackers launch a direct hit on the IP address of the web servers at the customer’s data center. These can be network-based ﬂood attacks such as UDP ﬂoods or ICMP ﬂoods that will not be routed through CDN services and will directly hit the customer’s servers. Such volumetric network attacks can saturate the Internet pipe. That results in degradation to application and online services, including those served by the CDN. Web application attacks. CDN protection from threats is limited and exposes web applications of the customer to data leakage and theft and other threats that are common with web applications. Most CDN- based WAF capabilities are minimal, covering only a basic set of predefined signatures and rules. Many of the CDN-based WAFs do not learn HTTP parameters and do not create positive security rules. Therefore, these WAFs cannot protect from zero-day attacks and known threats. For companies that do provide tuning for the web applications in their WAF, the cost is extremely high to get this level of protection. In addition to the significant blind spots identified, most CDN security services are simply not responsive enough, resulting in security configurations that take hours to manually deploy. Security services are using technologies (e.g., rate limit) that have proven inefficient in recent years and lack capabilities such as network behavioral analysis, challenge-response mechanisms and more. The DDoS attack on Dyn in 2016 has been the best example of the water-holing vector technique to date. However, we believe this vector will gain momentum heading into 2018 and 2019 as automation begins to pervade every aspect of our life. Attackers don’t just utilize old, unpatched vulnerabilities, they also exploit recent disclosures at impressive rates. This year we witnessed two worldwide events that highlight the evolution and speed with which attackers will weaponize a vulnerability: Memcache and Druppalgeddon. In late February, Radware’s Threat Detection Network signaled an increase in activity on UDP port 11211. At the same time, several organizations began alerting to the same trend of attackers abusing Memcached servers for amplified attacks. A Memcached amplified DDoS attack makes use of legitimate third-party Memcached servers to send spoofed attack traffic to a targeted victim. 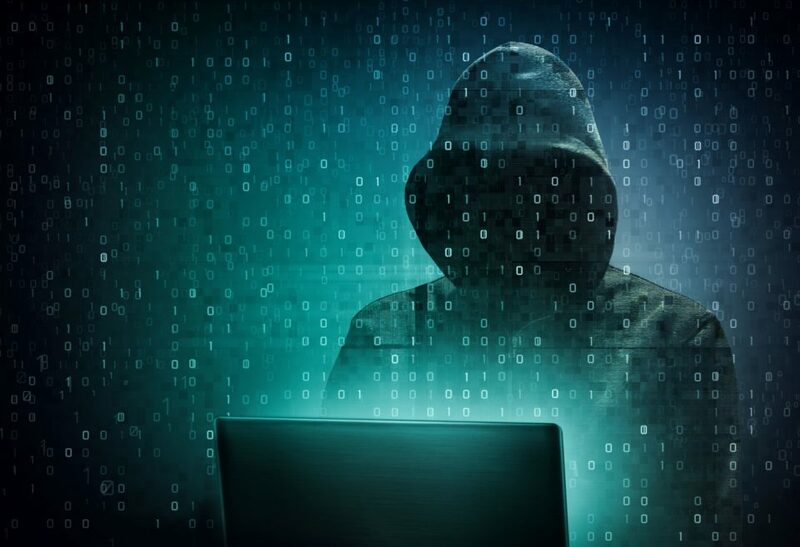 Memcached, like other UDP-based services (SSDP, DNS and NTP), are Internet servers that do not have native authentication and are therefore hijacked to launch amplified attacks against their victims. The Memcached protocol was never intended to be exposed to the Internet and thus did not have sufficient security controls in place. Because of this exposure, attackers are able to abuse Memcached UDP port 11211 for reflective, volumetric DDoS attacks. On February 27, Memcached version 1.5.6 was released which noted that UDP port 11211 was exposed and fixed the issue by disabling the UDP protocol by default. The following day, before the update could be applied, attackers leveraged this new attack vector to launch the world’s largest DDoS attack, a title previously held by the Mirai botnet. There were two main concerns with regards to the Memcached vulnerability. The first is centered around the number of exposed Memcached servers. With just under 100,000 servers and only a few thousand required to launch a 1Tbps attack, the cause for concern is great. Most organizations at this point are likely unaware that they have vulnerable Memcached servers exposed to the Internet and it takes time to block or filter this service. Memcached servers will be vulnerable for some time, allowing attackers to generate volumetric DDoS attacks with few resources. The second concern is the time it took attackers to begin exploiting this vulnerability. The spike in activity was known for several days prior to the patch and publication of the Memcached vulnerability. Within 24 hours of publication, an attacker was able to build an amplification list of vulnerable MMemcached servers and launch the massive attack. Adding to this threat, Defcon.pro, a notorious stresser service, quickly incorporated Memcache into their premium offerings after the disclosure. Stresser services are normally quick to utilize the newest attack vector for many reasons. The first reason being publicity. Attackers looking to purchase DDoS-as-a-service will search for a platform offering the latest vectors. Including them in a service shows demand for the latest vectors. In addition, an operator might include the Memcache DDoS-as-a-service so they can provide their users with more power. A stresser service offering a Memcache DDoS-as-a-service will likely also attract more customers who are looking for volume and once again plays into marketing and availability. DDoS-as-a-service operators are running a business and are currently evolving at rapid rates to keep up with demand. Oftentimes, these operators are using the public attention created by news coverage similar to extortionists. Similarly, ransom denial-of-service (RDoS) operators are quick to threaten the use of new tools due to the risks they pose. DDoS-as-a-service will do the same, but once the threat is mitigated by security experts, cyber criminals will look for newer vectors to incorporate into their latest toolkit or offerings. This leads into the next example of Drupalgeddon campaign and how quickly hacktivists incorporated this attack vector into their toolkit for the purpose of spreading messages via defacements. In early 2018, Radware’s Emergency Response Team (ERT) was following AnonPlus Italia, an Anonymous-affiliated group that was engaged in digital protests throughout April and May. The group–involved in political hacktivism as they targeted the Italian government–executed numerous web defacements to protest war, religion, politics and financial power while spreading a message about their social network by abusing the content management systems (CMS). On April 20, 2018 AnonPlus Italia began a new campaign and defaced two websites to advertise their website and IRC channel. Over the next six days, AnonPlus Italia would claim responsibility for defacing 21 websites, 20 of which used the popular open-source CMS Drupal. Prior to these attacks, on March 29, 2018, the Drupal security team released a patch for a critical remote code execution (RCE) against Drupal that allowed attackers to execute arbitrary code on unpatched servers as a result of an issue affecting multiple subsystems with default or common module configurations. Exploits for CVE-2018-7600 were posted to Github and Exploit-DB under the guise of education purposes only. The first PoC was posted to Exploit DB on April 13, 2018. On April 14, Legion B0mb3r, a member of the Bangladesh-based hacking group Err0r Squad, posted a video to YouTube demonstrating how to use this CVE-2018-7600 to deface an unpatched version of Drupal. A few days later, on April 17, a Metasploit module was also released to the public. In May, AnonPlus Italia executed 27 more defacements, of which 19 were Drupal. Content management systems like WordPress and Joomla are normally abused by Anonymous hacktivists to target other web servers. In this recent string of defacements, the group AnonPlus Italia is abusing misconfigured or unpatched CMS instances with remote code exploits, allowing them to upload shells and deface unmaintained websites for headline attention. Radware’s ERT and Threat Research Center monitored an immense number of events over the last year, giving us a chance to review and analyze attack patterns to gain further insight into today’s trends and changes in the attack landscape. Here are some insights into what we have observed over the last year. Over the last decade there has been a dramatic digital transformation within healthcare; more facilities are relying on electronic forms and online processes to help improve and streamline the patient experience. As a result, the medical industry has new responsibilities and priorities to ensure client data is kept secure and available–which unfortunately aren’t always kept up with. This year, the healthcare industry dominated news with an ever-growing list of breaches and attacks. Aetna, CarePlus, Partners Healthcare, BJC Healthcare, St. Peter’s Surgery and Endoscopy Center, ATI Physical Therapy, Inogen, UnityPoint Health, Nuance Communication, LifeBridge Health, Aultman Health Foundation, Med Associates and more recently Nashville Metro Public Health, UMC Physicians, and LabCorp Diagnostics have all disclosed or settled major breaches. Generally speaking, the risk of falling prey to data breaches is high, due to password sharing, outdated and unpatched software, or exposed and vulnerable servers. When you look at medical facilities in particular, other risks begin to appear, like those surrounding the number of hospital employees who have full or partial access to your health records during your stay there. The possibilities for a malicious insider or abuse of access is also very high, as is the risk of third party breaches. For example, it was recently disclosed that NHS patient records may have been exposed when passwords were stolen from Embrace Learning, a training business used by healthcare workers to learn about data protection. These recent cyber-attacks targeting the healthcare industry underscore the growing threat to hospitals, medical institutions and insurance companies around the world. So, what’s driving the trend? Profit. Personal data, specifically healthcare records, are in demand and quite valuable on today’s black market, often fetching more money per record than your financial records, and are a crucial part of today’s Fullz packages sold by cyber criminals. Not only are criminals exfiltrating patient data and selling it for a profit, but others have opted to encrypt medical records with ransomware or hold the data hostage until their extortion demand is met. Often hospitals are quick to pay an extortionist because backups are non-existent, or it may take too long to restore services. Because of this, cyber-criminals have a focus on this industry. Most of the attacks targeting the medical industry are ransomware attacks, often delivered via phishing campaigns. There have also been cases where ransomware and malware have been delivered via drive-by downloads and comprised third party vendors. We have also seen criminals use SQL injections to steal data from medical applications as well as flooding those networks with DDoS attacks. More recently, we have seen large scale scanning and exploitation of internet connected devices for the purpose of crypto mining, some of which have been located inside medical networks. In addition to causing outages and encrypting data, these attacks have resulted in canceling elective cases, diverting incoming patients and rescheduling surgeries. For-profit hackers will target and launch a number of different attacks against medical networks designed to obtain and steal your personal information from vulnerable or exposed databases. They are looking for a complete or partial set of information such as name, date of birth, Social Security numbers, diagnosis or treatment information, Medicare or Medicaid identification number, medical record number, billing/claims information, health insurance information, disability code, birth or marriage certificate information, Employer Identification Number, driver’s license numbers, passport information, banking or financial account numbers, and usernames and passwords so they can resell that information for a profit. Sometimes the data obtained by the criminal is incomplete, but that data can be leveraged as a stepping stone to gather additional information. Criminals can use partial information to create a spear-phishing kit designed to gain your trust by citing a piece of personal information as bait. And they’ll move very quickly once they gain access to PHI or payment information. Criminals will normally sell the information obtained, even if incomplete, in bulk or in packages on private forums to other criminals who have the ability to complete the Fullz package or quickly cash the accounts out. Stolen data will also find its way to public auctions and marketplaces on the dark net, where sellers try to get the highest price possible for data or gain attention and notoriety for the hack. Don’t let healthcare data slip through the cracks; be prepared. What Can We Learn About Cybersecurity from the Challenger Disaster? Everything. Understanding the potential threats that your organization faces is an essential part of risk management in modern times. It involves forecasting and evaluating all the factors that impact risk. Processes, procedures and investments can all increase, minimize or even eliminate risk. Another factor is the human element. Often times, within an organization, a culture exists in which reams of historical data tell one story, but management believes something entirely different. This “cognitive dissonance” can lead to an overemphasis and reliance on near-term data and/or experiences and a discounting of long-term statistical analysis. Despite strong evidence dating back to 1977 that the O-ring was a flawed design that could fail under certain conditions/temperatures, neither NASA management nor the rocket manufacturer, Morton Thiokol, responded adequately to the danger posed by the deficient joint design. Rather than redesigning the joint, they came to define the problem as an “acceptable flight risk.” Over the course of 24 preceding successful space shuttle flights, a “safety culture” was established within NASA management that downplayed the technical risks associated with flying the space shuttle despite mountains of data, and warnings about the O-ring, provided by research and development (R & D) engineers. Truer words have never been spoken when they pertain to cybersecurity. C-suite executives need to stop evaluating and implementing cybersecurity strategies and solutions that meet minimal compliance and establish a culture of “acceptable risk” and start managing to real-world risks — risks that are supported by hard data. The Challenger disaster underscores all four of these risk categories. Take strategic risk as an example. Engineers from Morton Thiokol expressed concerns and presented data regarding the performance of the O-rings, both in the years prior and days leading up to the launch, and stated the launch should be delayed. NASA, under pressure to launch the already delayed mission and emboldened by the 24 preceding successful shuttle flights that led them to discount the reality of failure, pressured Morton Thiokol to supply a different recommendation. Morton Thiokol management decided to place organizational goals ahead of safety concerns that were supported by hard data. The recommendation for the launch was given, resulting in one of the most catastrophic incidents in manned space exploration. Both Morton Thiokol and NASA made strategic decisions that placed the advancements of their respective organizations over the risks that were presented. This example of strategic risk serves as a perfect analogy for organizations implementing cybersecurity strategies and solutions. There are countless examples of high-profile cyberattacks and data breaches in which upper management was warned in advance of network vulnerabilities, yet no actions were taken to prevent an impending disaster. The infamous 2018 Panera Bread data breach is one such example. Facebook is yet another. Its platform operations manager between 2011 and 2012 warned management at the social tech giant to implement audits or enforce other mechanisms to ensure user data extracted from the social network was not misused by third-party developers and/or systems. These warnings were apparently ignored. So why does this continually occur? The implementation of DDoS and WAF mitigation solutions often involves three key components within an organization: management, the security team/SOC and compliance. Despite reams of hard data provided by a security team that an organization is either currently vulnerable or not prepared for the newest generation of attack vectors, management will often place overemphasis on near-term security results/experiences; they feel secure in the fact that the organization has never been the victim of a successful cyberattack to date. The aforementioned Facebook story is a perfect example: They allowed history to override hard data presented by a platform manager regarding new security risks. Underscoring this “cognitive dissonance” is the compliance team, which often seeks to evaluate DDoS mitigation solutions based solely on checkbox functionality that fulfills minimal compliance standards. Alternatively, this strategy also drives a cost-savings approach that yields short-term financial savings within an organization that often times views cybersecurity as an afterthought vis-à-vis other strategic programs, such as mobility, IoT and cloud computing. The end result? 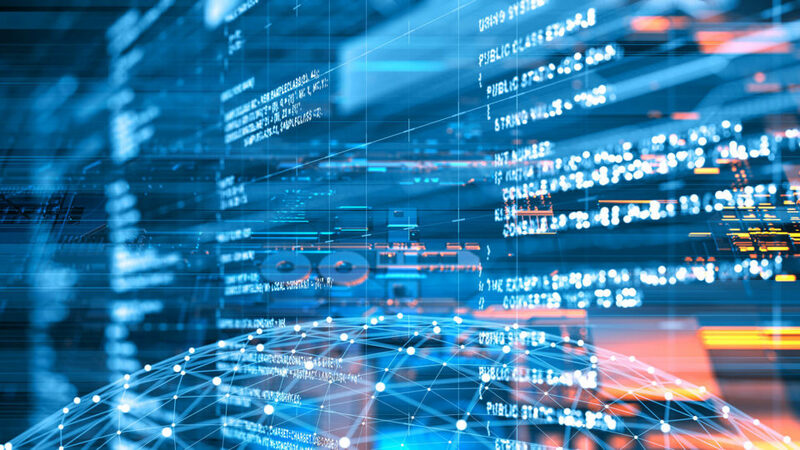 Organizations aren’t managing real-world risks, but rather are managing “yesterday’s” risks, thereby leaving themselves vulnerable to new attack vectors, IoT botnet vulnerabilities, cybercriminals and other threats that didn’t exist weeks or even days ago. Strategic Risk: Cyberattacks, on average, cost more than one million USD/EUR, according to 40% of executives. Five percent estimated this cost to be more than 25 million USD/EUR. Reputation Risk: Customer attrition rates can increase by as much as 30% following a cyberattack. Moreover, organizations that lose over four percent of their customers following a data breach suffer an average total cost of $5.1 million. In addition, 41% of executives reported that customers have taken legal action against their companies following a data breach. The Yahoo and Equifax data breach lawsuits are two high-profile examples. Product Risk: The IP Commission estimated that counterfeit goods, pirated software and stolen trade secrets cost the U.S. economy $600 billion annually. Governance Risk: “Hidden” costs associated with a data breach include increased insurance premiums, lower credit ratings and devaluation of trade names. Equifax was devalued by $4 billion by Wall Street following the announcement of its data breach. It’s only by identifying the new risks that an organization faces each and every day and having a plan in place to minimize them that enables its executives to build a foundation upon which their company will succeed. In the case of the space shuttle program, mounds of data that clearly demonstrated an unacceptable flight risk were pushed aside by the need to meet operational goals. What lessons can be learned from that fateful day in January of 1986 and applied to cybersecurity? To start, the disaster highlights the five key steps of managing risks. In the case of cybersecurity, this means that the executive leadership must weigh the opinions of its network security team, compliance team and upper management and use data to identify vulnerabilities and the requirements to successfully mitigate them. In the digital age, cybersecurity must be viewed as an ongoing strategic initiative and cannot be delegated solely to compliance. Leadership must fully weigh the potential cost of a cyberattack/data breach on the organization versus the resources required to implement the right security strategies and solutions. Lastly, when properly understood, risk can actually be turned into a competitive advantage. In the case of cybersecurity, it can be used as a competitive differentiator with consumers that demand fast network performance, responsive applications and a secure customer experience. This enables companies to target and retain customers by supplying a forward-looking security solution that seamlessly protects users today and into the future. So how are executives expected to accomplish this while facing new security threats, tight budgets, a shortfall in cybersecurity professionals and the need to safeguard increasingly diversified infrastructures? The key is creating a secure climate for the business and its customers. To create this climate, research shows that executives must be willing to accept new technologies, be openminded to new ideologies and embrace change, according to C-Suite Perspectives: Trends in the Cyberattack Landscape, Security Threats and Business Impacts. 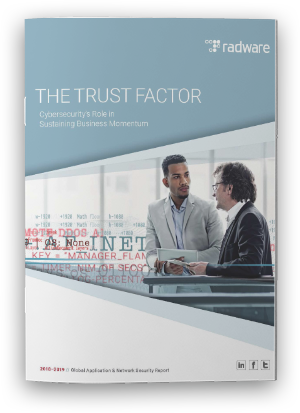 Executives committed to staying on top of this ever-evolving threat must break down the silos that exist in the organization to assess the dimensions of the risks across the enterprise and address these exposures holistically. Next is balancing the aforementioned investment versus risk equation. All executives will face tough choices when deciding where to invest resources to propel their companies forward. C-suite executives must leverage the aforementioned data points and carefully evaluate the risks associated with security vulnerabilities and the costs of implementing effective security solutions to avoid becoming the next high-profile data breach. According to the same report, four in 10 respondents identified increasing infrastructure complexity, digital transformation plans, integration of artificial intelligence and migration to the cloud as events that put pressure on security planning and budget allocation. The stakes are high. Security threats can seriously impact a company’s brand reputation, resulting in customer loss, reduced operational productivity and lawsuits. C-suite executives must heed the lessons of the space shuttle Challenger disaster: Stop evaluating and implementing cybersecurity strategies and solutions that meet minimal compliance and start managing to real-world risks by trusting data, pushing aside near-term experiences/“gut instincts” and understanding the true cost of a cyberattack. Those executives who are willing to embrace technology and change and prioritize cybersecurity will be the ones to win the trust and loyalty of the 21st-century consumer. 2019 Predictions: Will Cyber Serenity Soon Be a Thing of the Past? In 2018 the threat landscape evolved at a breakneck pace, from predominantly DDoS and ransom attacks (in 2016 and 2017, respectively), to automated attacks. We saw sensational attacks on APIs, the ability to leverage weaponized Artificial Intelligence, and growth in side-channel and proxy-based attacks. And by the looks of it, 2019 will be an extension of the proverbial game of whack-a-mole, with categorical alterations to the current tactics, techniques and procedures (TTPs). While nobody knows exactly what the future holds, strong indicators today enable us to forecast trends in the coming year. The worldwide public cloud services market is projected to grow 17.3 percent in 2019 to total $206.2 billion, up from $175.8 billion in 2018, according to Gartner, Inc. This means organizations are rapidly shifting content to the cloud, and with that data shift comes new vulnerabilities and threats. While cloud adoption is touted as faster, better, and easier, security is often overlooked for performance and overall cost. Organizations trust and expect their cloud providers to adequately secure information for them, but perception is not always a reality when it comes to current cloud security, and 2019 will demonstrate this. Hijacking the availability of a service—like stock trading, streaming video or music, or even 911—and demanding a ransom for the digital return of the devices or network. Hijacking a device. Not only are smart home devices like thermostats and refrigerators susceptible to security lapses, but so are larger devices, like automobiles. Healthcare ransom attacks pose a particularly terrifying threat. As healthcare is increasingly interwoven with cloud-based monitoring, services and IoT embedded devices responsible for administering health management (think prescriptions/urgent medications, health records, etc.) are vulnerable, putting those seeking medical care in jeopardy of having their healthcare devices that they a dependent on being targeted by malware or their devices supporting network being hijacked. As trade and other types of “soft-based’ power conflicts increase in number and severity, nation states and other groups will seek new ways of causing widespread disruption including Internet outages at the local or regional level, service outages, supply chain attacks and application blacklisting by government in attempted power grabs. Contractors and government organizations are likely to be targeted, and other industries will stand to lose millions of dollars as indirect victims if communications systems fail and trade grinds to a halt. Over the past several years, we’ve witnessed the development and deployment of massive IoT-based botnets, such as Mirai, Brickerbot, Reaper and Haijme, whose systems are built around thousands of compromised IoT devices. Most of these weaponized botnets have been used in cyberattacks to knock out critical devices or services in a relatively straightforward manner. Recently there has been a change in devices targeted by bot herders. Based on developments we are seeing in the wild, attackers are not only infiltrating resource-constrained IoT devices, they are also targeting powerful cloud-based servers. When targeted, only a handful of compromised instances are needed to create a serious threat. Since IoT malware is cross-compiled for many platforms, including x86_64, we expect to see attackers consistently altering and updating Mirai/Qbot scanners to include more cloud-based exploits going into 2019. If the growth of the attack landscape continues to evolve into 2019 through various chaining attacks and alteration of the current TTP’s to include automated features, the best years of cybersecurity may be behind us. Let’s hope that 2019 will be the year we collectively begin to really share intelligence and aid one another in knowledge transfer; it’s critical in order to address the threat equation and come up with reasonable and achievable solutions that will abate the ominous signs before us all. Until then, pay special attention to weaponized AI, large API attacks, proxy attacks and automated social engineering. As they target the hidden attack surface of automation, they will no doubt become very problematic moving forward. Online businesses should care, too. They can be the target of DDoS attacks. In my blog on DemonBot, I discussed how Hadoop YARN exploit attempts were ramping up. In the middle of October, our deception network recorded up to 1.5 million attempts per day. The good news is that the attempt rate steadily slowed down in the second half of last month—though unfortunately not to the point where we should pat ourselves on the back for exposing one of the many malicious campaigns that are taking advantage of exposed Hadoop YARN servers. These last few days, the number of Hadoop Yarn exploit attempts slowed to an average of 350,000 attempts per day. That said, there is no sign of the threat going away any time soon and we should stay alert. In order to appreciate the risk and quantify the threat, I have been tracking Hadoop YARN campaigns and exploring the extent of the attack surface since my last blog. Understanding the potential for abuse and the types of threats that are emerging from the exposed servers allows one to better appreciate the risk. Between September and the first half of November, there have been more than 35 million exploit attempts registered by our deception network and over one-third of them originated from the US. Great Britain, Italy and Germany are the runners-up and, combined, they were good for more than half of the exploit attempts. In absolute numbers, the U.S. generated nearly 12 million exploit attempts. Great Britain and Italy each were responsible for 6 million attempts, closely followed by Germany with 4.8 million attempts. The exploit attempts were not specifically targeting a single region. The UK and Germany honeypots were hit twice as hard compared to the rest of the world. The average numbers for each region is between 1.6 and 3.2 million attempted exploits. To asses the attack surface, I performed a global scan for services listening on the Hadoop YARN port TCP/8088, taking care to exclude sensitive IP ranges as listed in Robert Graham’s masscan exclusion list. By November 8, the number of vulnerable Hadoop YARN servers exposed to the public was 1065. The vulnerable servers are scattered around the globe with higher concentrations in areas where the data center density is high. The attack surface is global and limited to little over 1,000 servers, but it should not be ignored because of the high potential powerful big data servers typically provide for malicious agents. Now that we have a good measure on the attack surface and the interest taken in it by malicious actors, it’s time to have a closer look at how these actors are attempting to take advantage of this situation. The below graph shows different Hadoop YARN exploits recorded by our medium interaction honeypots over a period of 14 days. Each exploit payload contains a command sequence which is hashed into a unique fingerprint, allowing us to quantify and track campaigns over time. The exploit table in (*1) contains the details of each command sequence corresponding to the fingerprints in the graph. The red bars in the command sequence graph above represent the attempted count per day from a new DemonBot campaign ‘YSDKOP,’ named after the names used for the malware binaries. The other, shorter and less aggressive campaigns represented in the command sequence graph above were mostly infection attempts by Linux/IoT Botnets. Some that seemed worthy of a few words are discussed below. An ongoing Monero cryptomining campaign that has been known to actively abuse exposed Hadoop YARN servers since April of this year, mined a total of 566 XMR (about 60,000 USD) and is growing its revenue with an average rate of 2 XMR (212 USD) a day. The malicious agent or group is currently abusing three servers and maintains an average hash rate of 400kH/s over time. The ‘zz.sh’ script, archived in (*2) for reference, performs some cleaning up on the server before ultimately downloading a binary called ‘x_64’ from the same repository. The x_64 binary is XMRig, an open source, high-performance Monero CPU miner written in C++ (https://github.com/xmrig/xmrig). The wallet address matches that of operations reported in the Stackoverflow and HortonWorks communities by Hadoop admins in May of this year; thousands of cryptomining jobs were causing issues with the cluster. In August, the 360 Threat Intelligence Center published a report on what they called the “8220 mining gang,” also mentioning the same wallet address. According to the researchers, the mining gang was/is suspected to be of Chinese origin. The same address also matches the wallet address used in a sample Nanopool report link in the readme of another cryptomining open-source software hosted on Github and called ‘Cpuhunter’. The Nanopool wallet account that has been in use since April 10 can be tracked through this link. The total XMR payments resulting from this illegal mining operation were, as of November 12, 566 XMR or about 60,000 USD. This is an unaltered DemonBot hiding behind a random name YSDKOP. dirs="/tmp/ /var/ /dev/shm/ /dev/ /var/run/ /var/tmp/"
Looking at the strings of the downloaded ‘Supra.x86_64’ binary, we see a close match with those of DemonBot, as do the decorated names in the unstripped binary. The compile version used for this DemonBot version is identical to the original DemonBot: GCC (GNU) 4.2.1. The binary is packed with the UPX executable packer and matches mostly Mirai code. This campaign consists of a set of shell scripts which deletes system and other user accounts from a compromised server and creates two backdoor accounts with root privileges. The backdoor account user names are ‘VM’ and ‘localhost’ and both have their password set to the hash ‘$1$OwJj0Fjv$RmdaYLph3xpxhxxfPBe8S1’. binarys="mips mpsl arm arm5 arm6 arm7 sh4 ppc x86 arc"
Knowing the exposed servers, we can assess the activity of that set of servers that were compromised by correlating the server IP with our global deception network activity. Less than 5% of the list of exposed servers overlapped with servers in our deception network and has been seen performing malicious activity. This 5% is not the full picture though, since there is convincing evidence of actors actively abusing the servers for mining cryptocurrencies and because there is no scanning or exploiting activity, these servers do not show up in our deception network. The amount of compromised servers from the potential 1065 is still an unknown, but it is safe to say that at some point, all of those will fall–or have already fallen–victim to malicious activities. The below graph shows the activity per port of known compromised servers. The activities target TCP ports 23, 2323, 22, and 2222 which are representative for your run-of-the-mill IoT exploits through telnet and SSH credential brute forcing. The other notorious port 5555 is known for TR069 and ADB exploits on IoT vulnerable devices. In the past 7 days, we witnessed an increased scanning activity targeting port 23. This Mirai-like port 23 scanning behavior was mostly originating from a single server, good for over 35,000 scanning events during the last 7 days. The other compromised servers were good for a couple of events during limited time ranges. In terms of regional targeting by compromised servers, Germany took most of the hits. Although there is clear evidence of DDoS capable botnets attempting to compromise Hadoop YARN exposed servers, there was no immediate evidence of DDoS activity by the compromised servers. This does not eliminate the possibility and potential of DDoS attacks, however. The attack surface is just a little over 1065 servers. Compared to IoT botnets, who can run in the hundreds of thousands of devices, this seems of little threat. However, Hadoop (and cloud servers in general) provides much better connectivity and far more compute resources compared to IoT devices; only a few of these servers in a botnet can cause severe disruption to online businesses. For those that are operating Hadoop clusters, a publicly exposed YARN service can and will at some point be exploited and abused for cryptomining. Besides affecting stability and performance, cloud servers with elastic compute resources can have an economic impact on the victim because of the surge in resource utilization. Do note that you cannot get away with publicly exposed services, it is not a matter of IF but a matter of WHEN your service will be compromised and abused. In today’s Internet, cloud servers can perform full internet port scans in minutes, and application vulnerability scans in less than a day. For those of you who are not convinced yet, pay a visit to one of the (IoT) search engines such as https://shodan.io or https://fofa.so, who on a daily basis scan and scrape internet connected devices. Just type ‘jetty’ in the search field of those search engines and witness how many servers are indexed and easily discovered within seconds. if crontab -l | grep -q "46.249.38.186"